Leveraging complete BIM capabilities to be efficient and economical on the project. Eliminate inter-disciplinary clashes before the construction breaks the growing. Adding the creativity to give architectural designs an excellent look and stay on timelines. 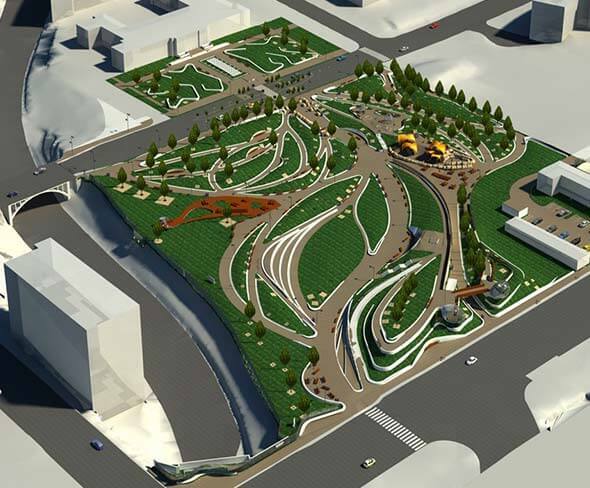 The construction firm from the USA approached Hi-Tech to develop the BIM LOD 300 model for the public park with excellent creativity of architectural designs. 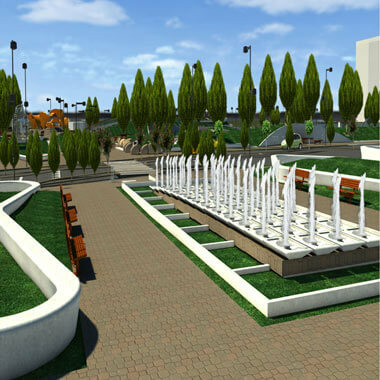 Our BIM teams embarked on the project to create the 3D model based on the IFC drawings shared by the client. Initial work started by integrating drawings and PDF files of all disciplines into one single model in Revit. Later all the interdisciplinary clashes were detected using Autodesk Navisworks and eliminated with an alternate design. 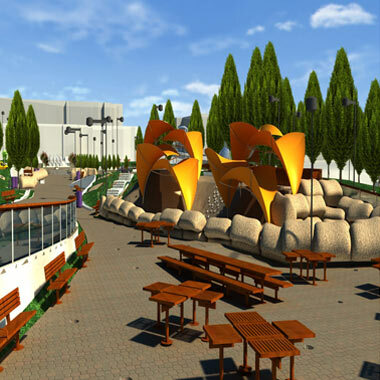 Keeping the architectural designs and aesthetics of the design in center, we developed the 3D BIM model as per AIA standards and shared it with the client six weeks later. The client was benefited by the eliminated clashes particularly in mitigating the reworks and potential waste of construction material. As the coordinated BIM model was shipped to the client the quality of scheduling and designing ensured the safety in managing public-business infrastructure.